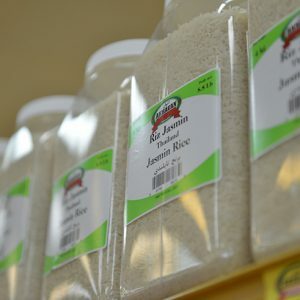 You name it!... 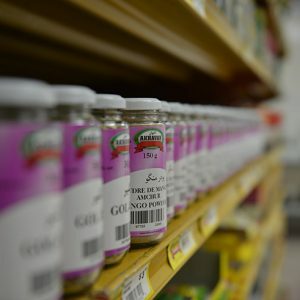 We have it! 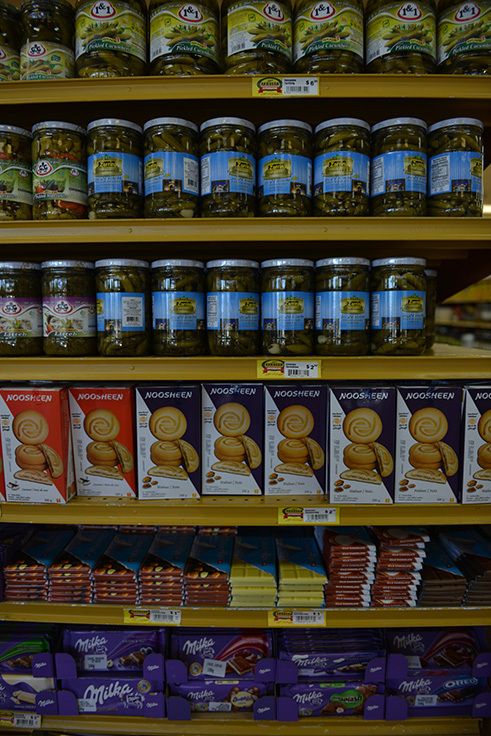 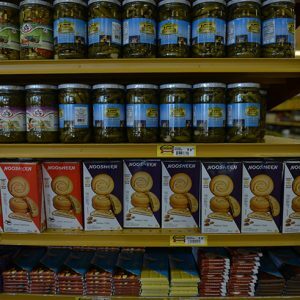 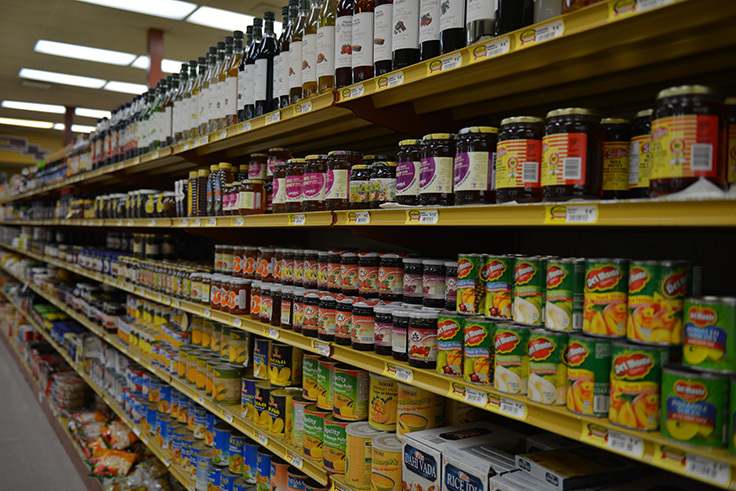 In Akhavan Food stores, we offer variety of Mediterranean food products for any tastes. 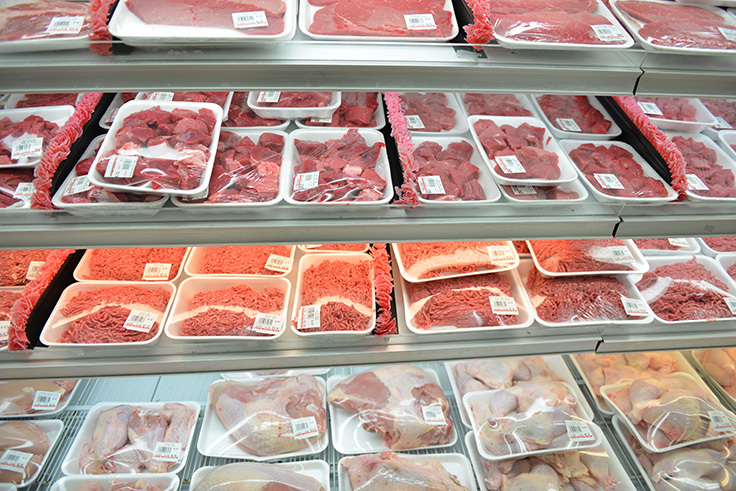 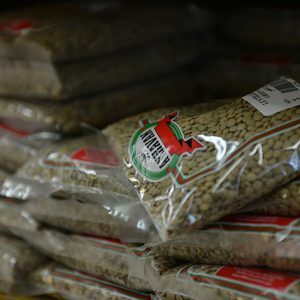 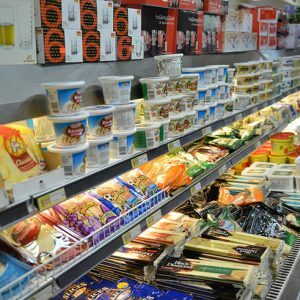 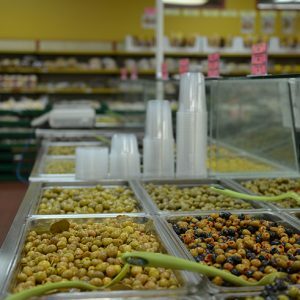 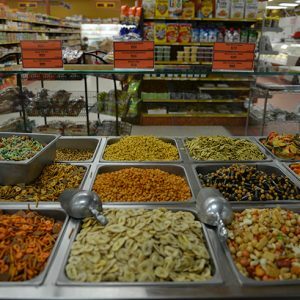 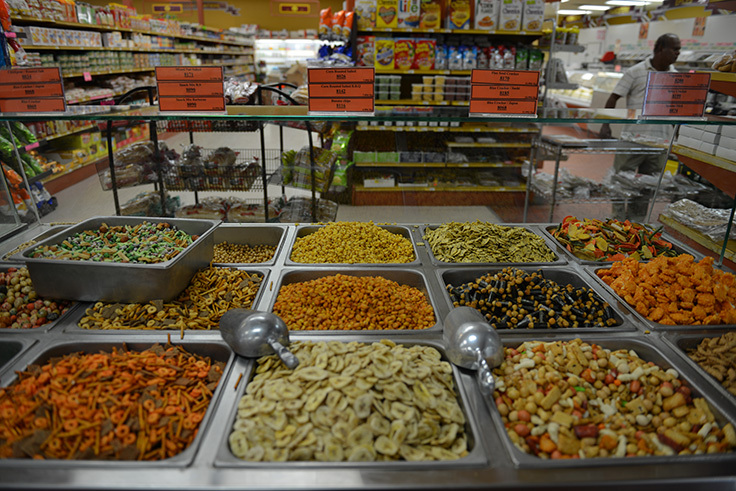 You can find Persian Pistachios, Arabian Humus, Indian Rice, Halal Meat and Chicken, and so many others. 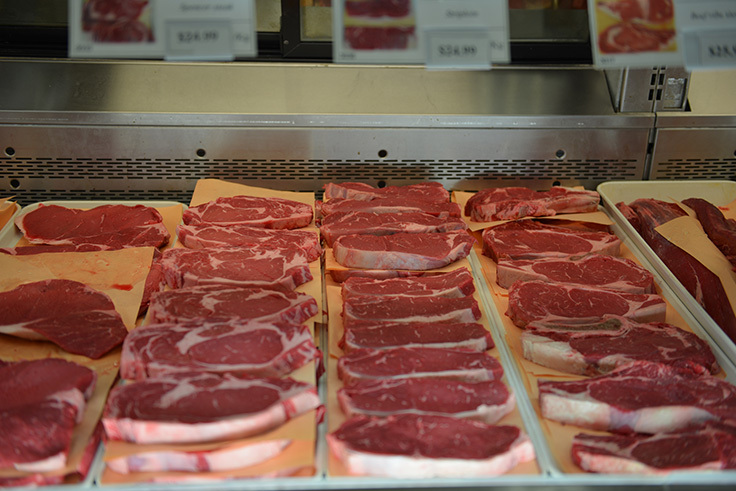 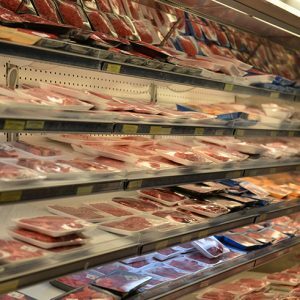 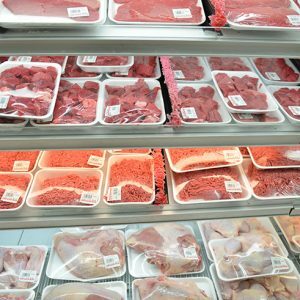 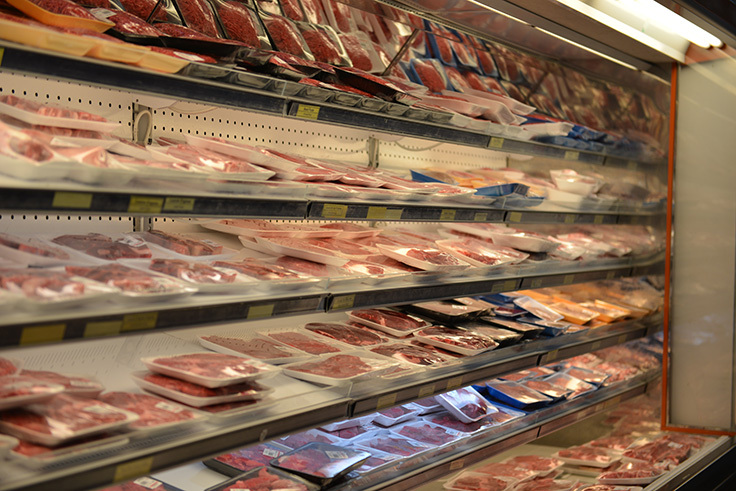 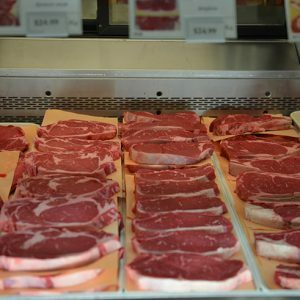 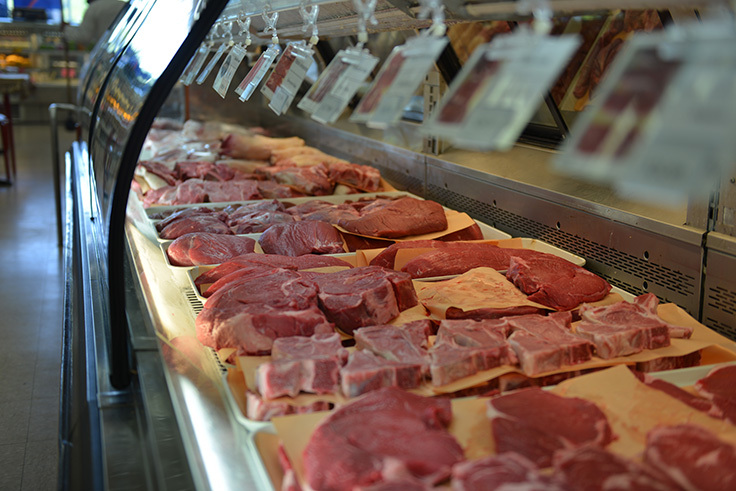 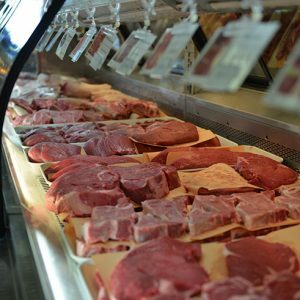 At Supermarche Akhavan, our customers enjoy a variety of marinated meats, a variety of fine cuts of chicken, a wide range of beef, veal, lamb and much more. 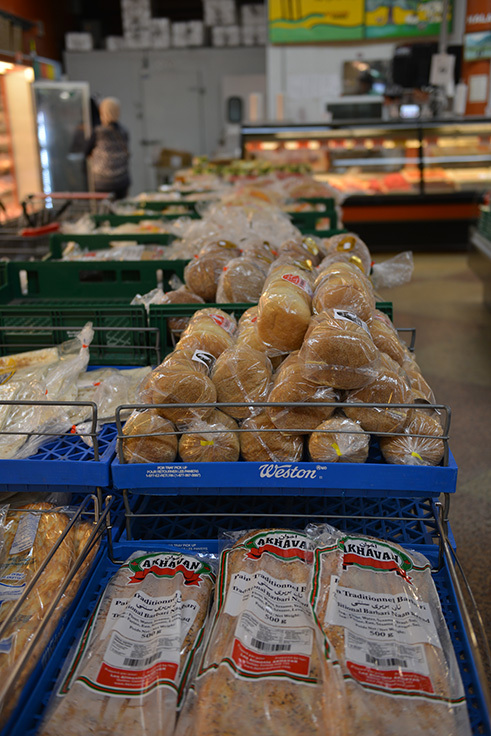 Our famous Iranian Barbari breads are produced daily at our warehouse location, and it is our speciality. 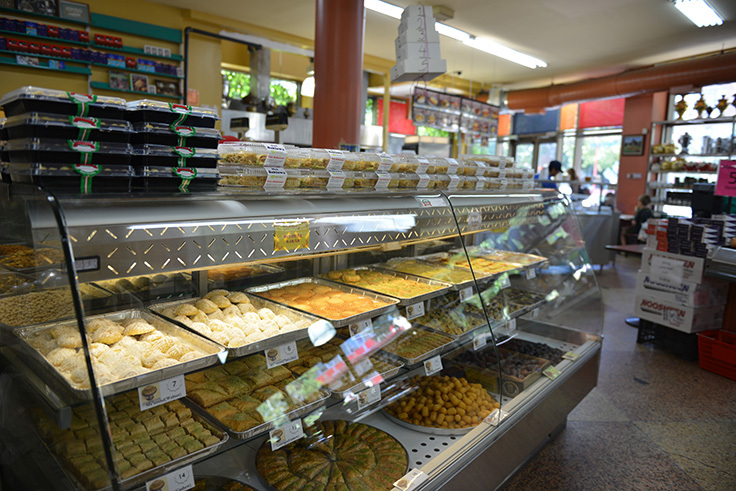 We also have a variety of Middle-Eastern pastries. 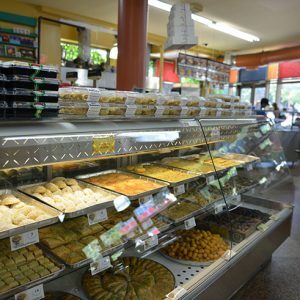 You will love our selection of Baklavas stuffed with Pistachios, and our Armenian style cookies. 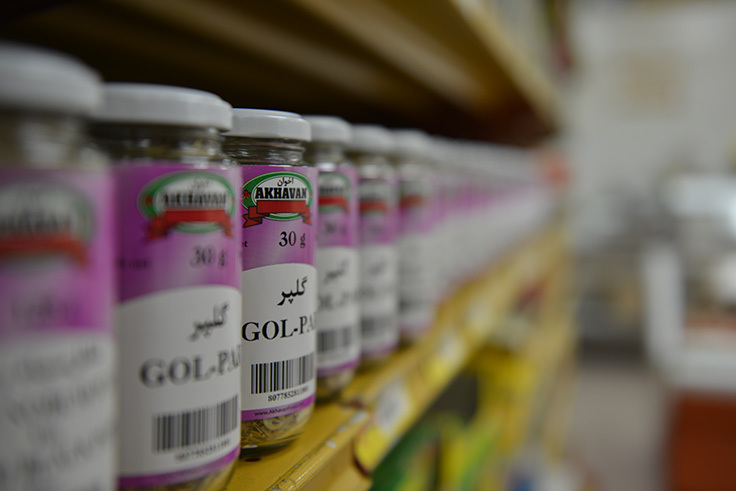 And who can resist our delicious selection of Lokum (Turkish delight) flavoured with rosewater, mastic, menthe and Bergamot orange. 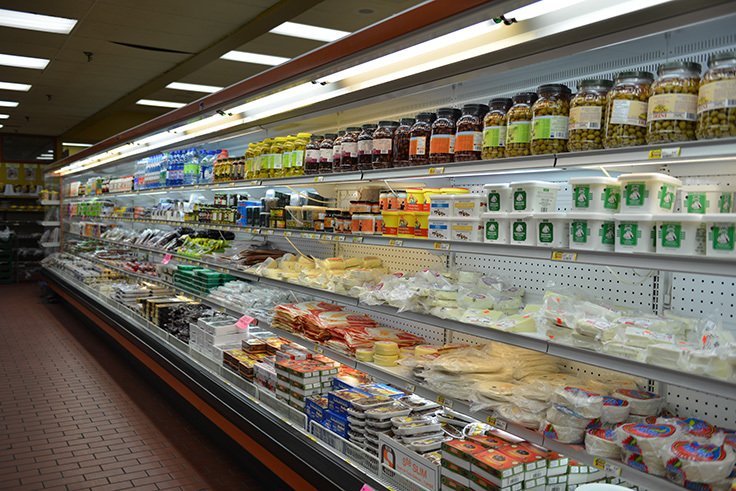 Akhavan’s cheese counter offers a wide selection of bulk cheeses, and a variety of pre-packaged cheeses. 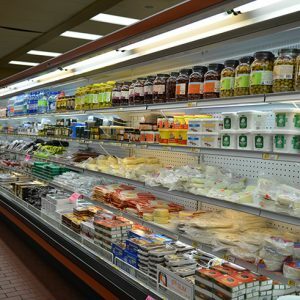 Greek Feta, Bulgarian Feta, Canadian Feta, Roomy Cheese, Kefalotyri Cheese, Labneh, Gouda, Smoked Cheddar, Danish Blue Cheese, Goat Cheese, Hallom, Akawi, Baladi, Nabulsi… You name it, we have it! 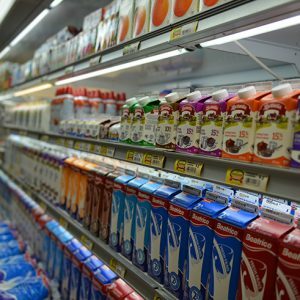 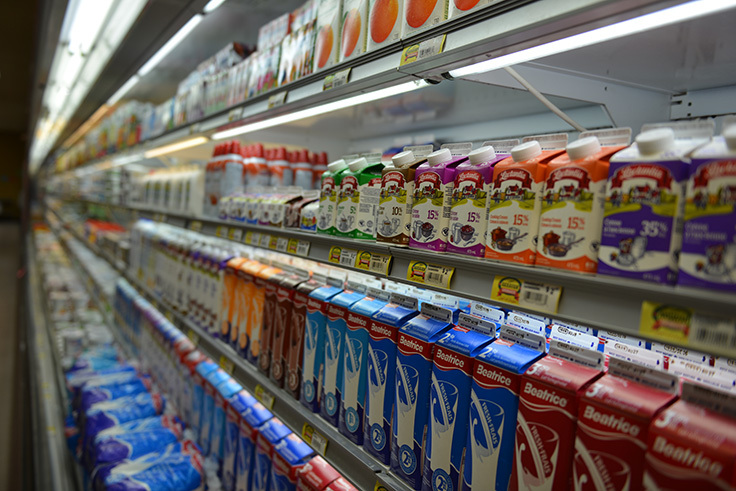 What would a grocery store be without basic dairy products such as milk, yogurt and butter? 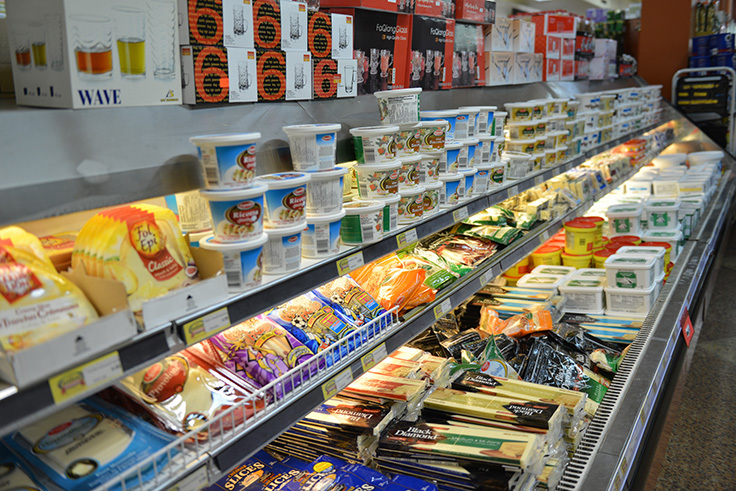 This is why we have a variety of dairy product available to you. 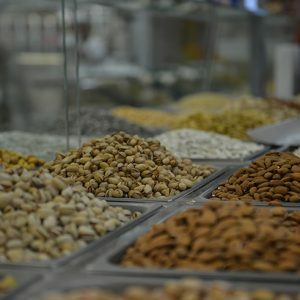 We are the pistachios and nuts specialist. 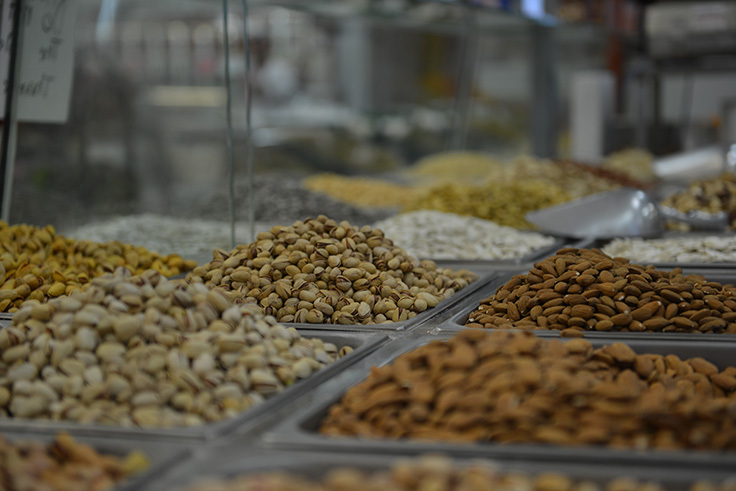 We offer more than 60 kinds of nuts such as Brazil Nuts, Almonds, Hazelnuts, Cashews, Macadamias, Peanuts, Pecans, Walnuts and Pistachios. 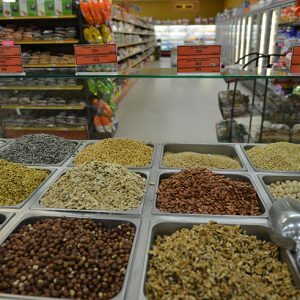 And, over 50 varieties of seeds such as Pumpkin Seeds, Sunflower Seeds, Flax seeds, Sesame Seeds, and Melon Seeds. 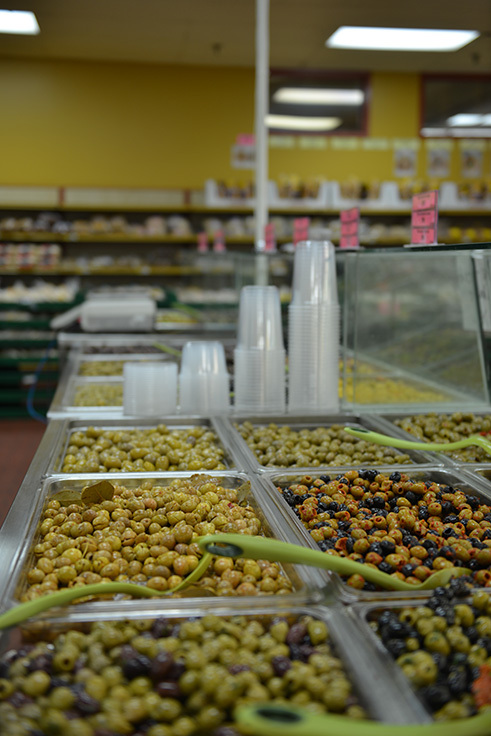 We also offer many kinds of dry fruits such as raisins, dates, plums and apricots. 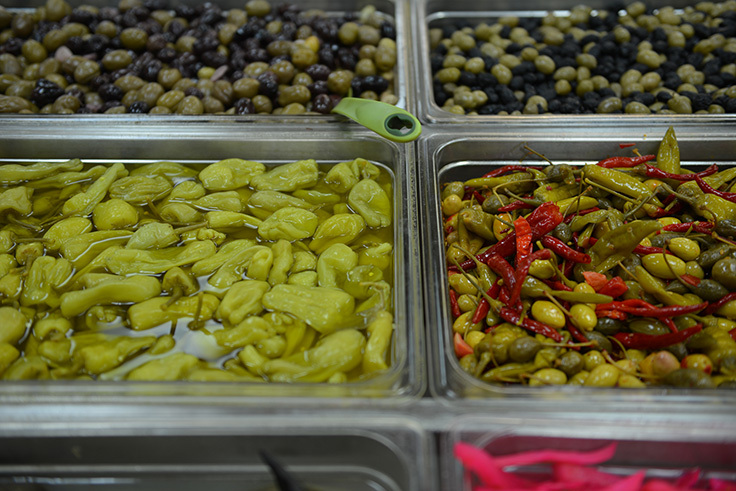 Vine leaves, Marinated Artichokes, Pickled Turnips, Marinated Mushrooms, Marinated cucumbers and much more. 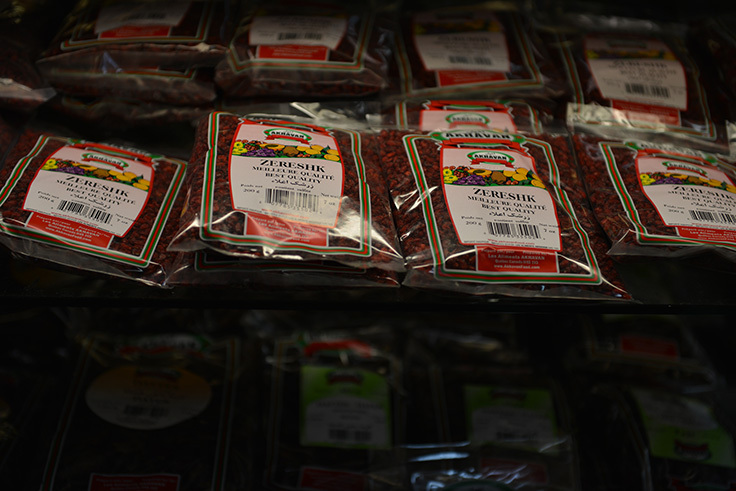 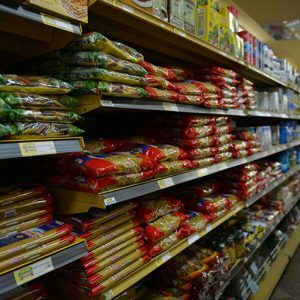 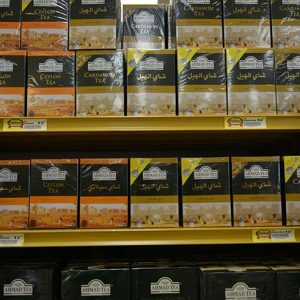 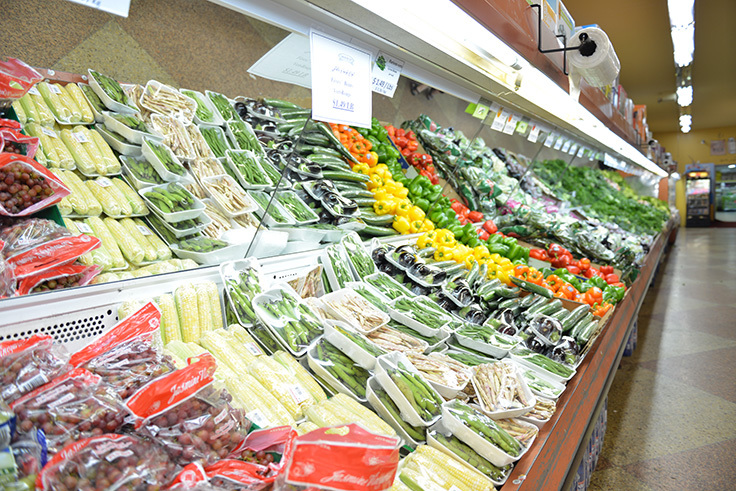 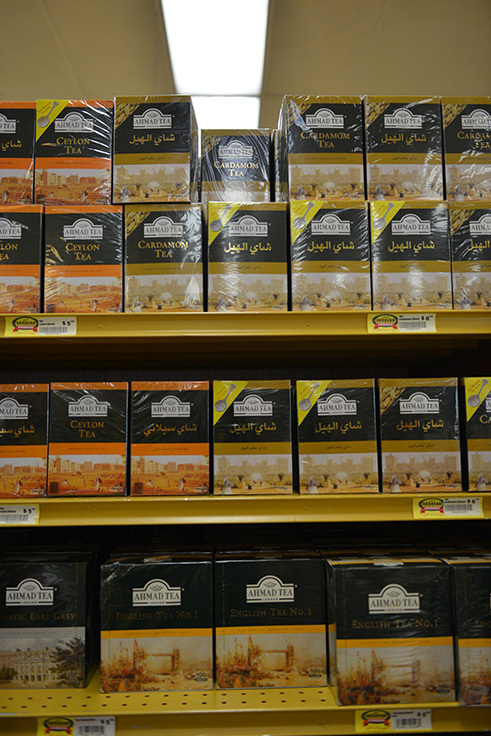 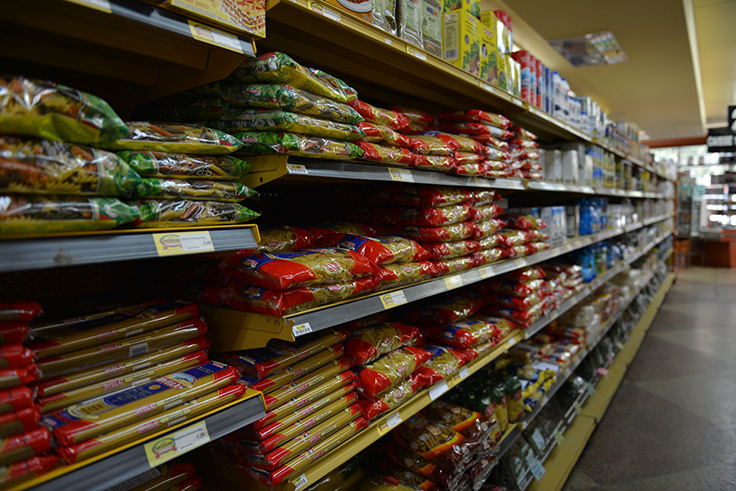 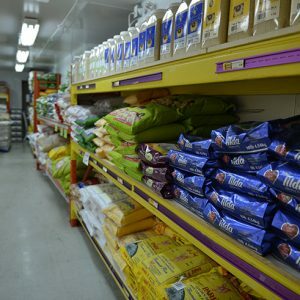 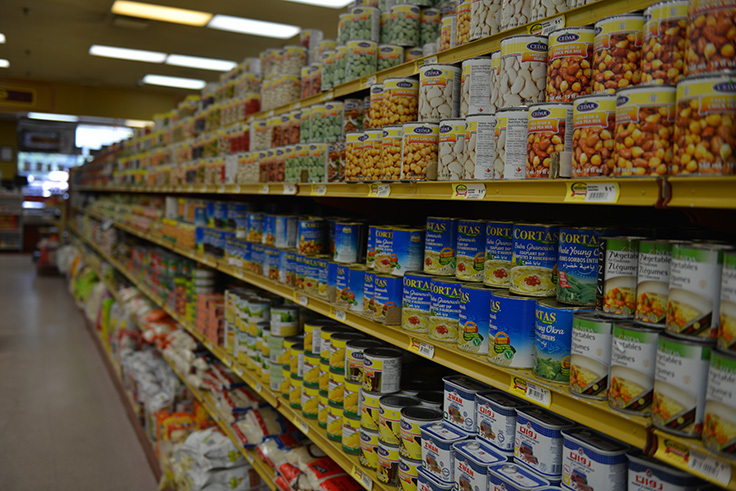 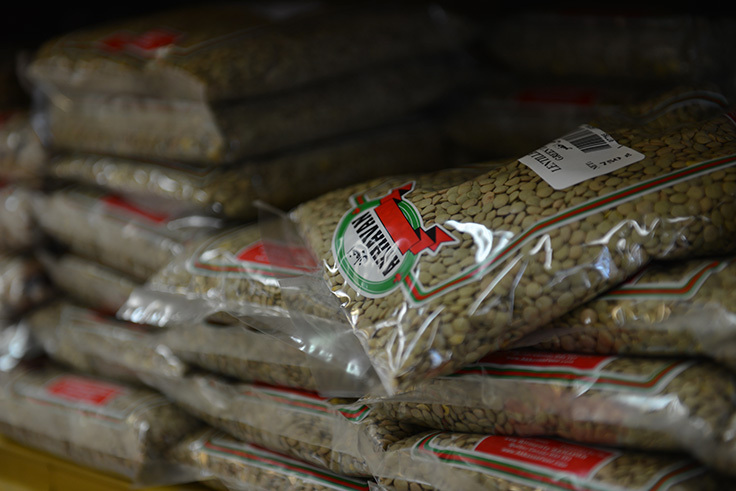 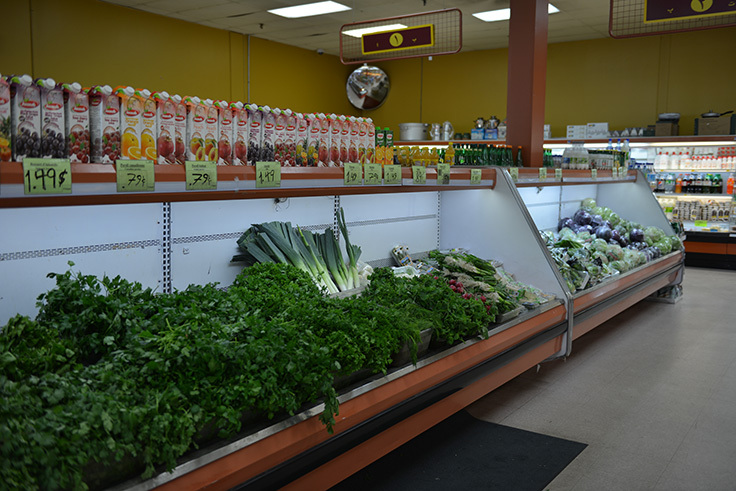 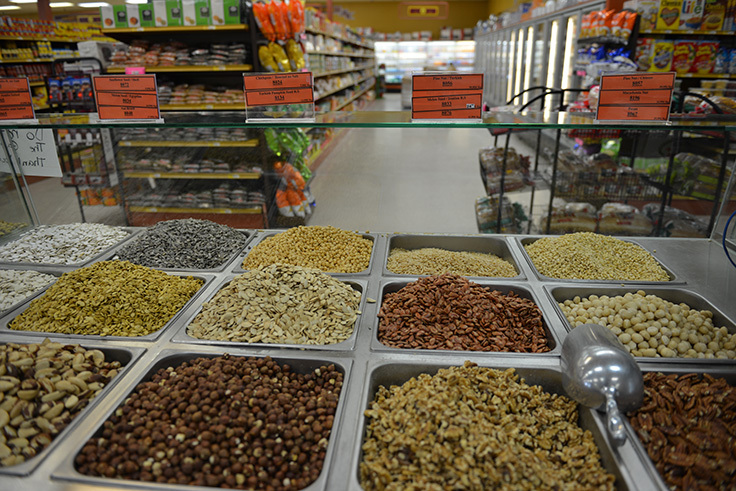 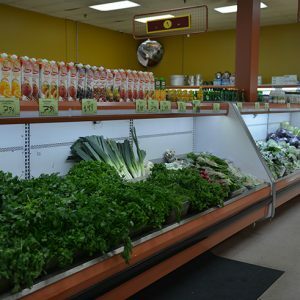 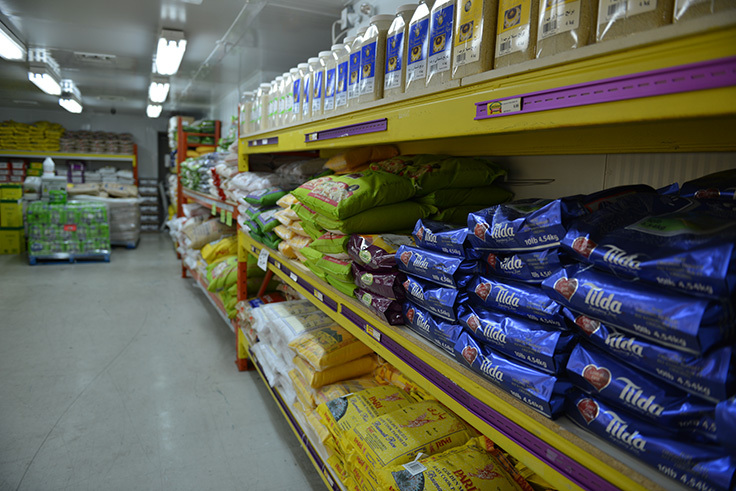 Akhavan’s grocery department offers a variety of rice imported from the Mediterranean and Middle East. 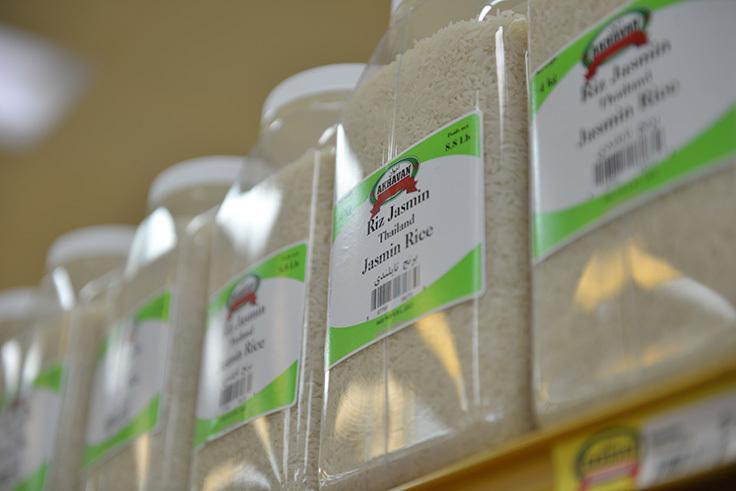 You will find here rice from all around the world including Iran, India, Egypt, America, Thailand, China and Italy. 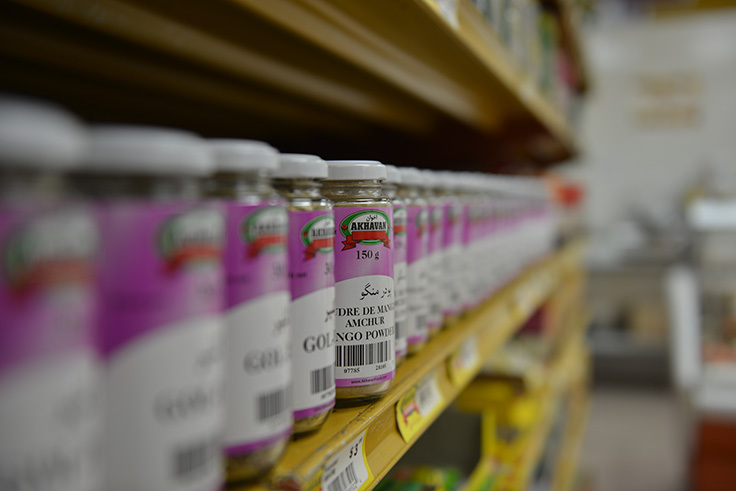 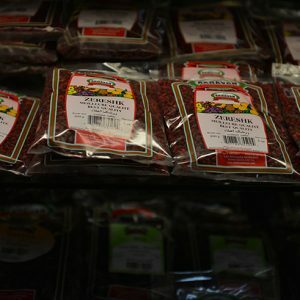 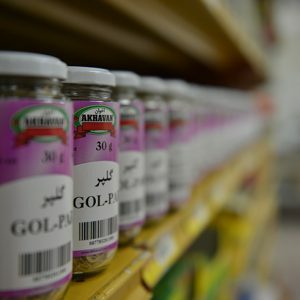 Akhavan offers more than 70 varieties of whole and ground spices such as Oregano, Rosemary, Cumin, Turmeric, Sumac, Paprika, and of course Saffron which is imported from Iran. 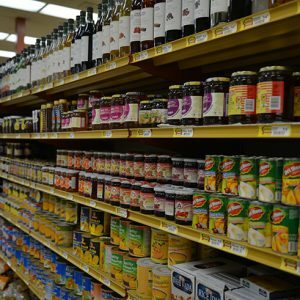 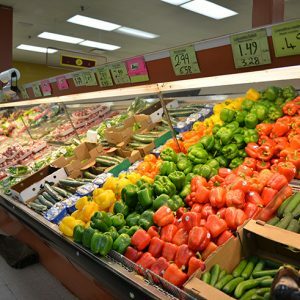 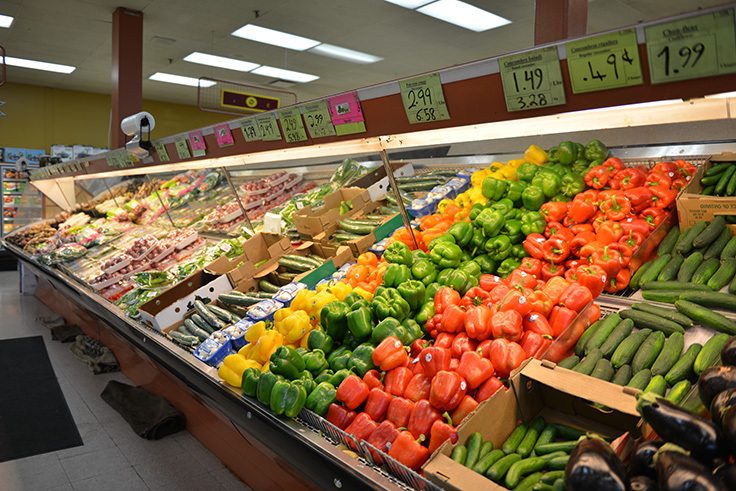 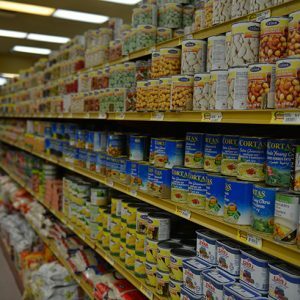 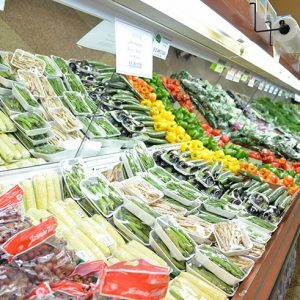 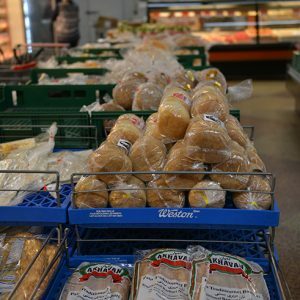 You will find fresh fruit and vegetables, halal meat, dry and canned products, spices, Olive oils, vinegars, rice, pasta and many other products. 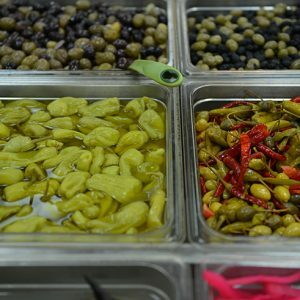 With Akhavan, you will discover the flavours of the Mediterranean, the Middle-Eat and the rest of the world at the best prices.